Have you ever wondered what it’s like to breathe underwater and discover a whole different world? Then you must try your first SCUBA dive in Folegandros. During the PADI Discover Scuba Diving program you will dive into shallow water under the direct supervision of a PADI instructor and you will take an undersea tour to discover the underwater world. Typical sessions last about 3 hours. 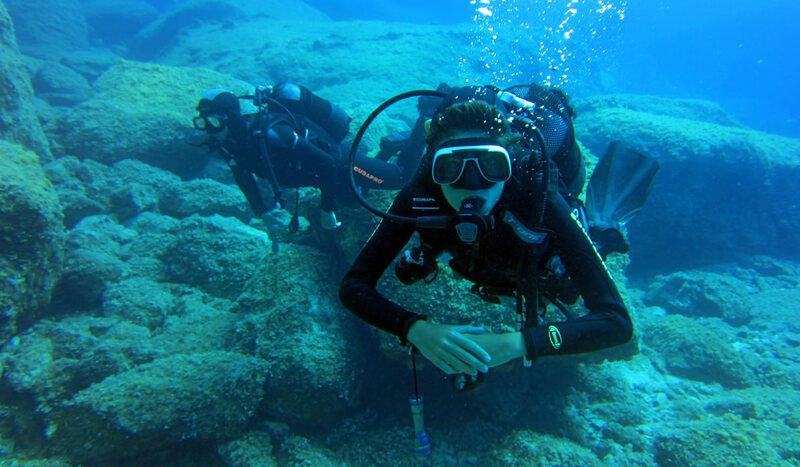 What you will learn in SEA U diving center in Folegandros: You will learn how to use the basic scuba diving equipment and how easy it is to breathe and move around underwater in safety. You will also learn basic skills and safety rules that could take you to your next diving level. Prerequisites: No prior experience in diving is needed. Participants of the PADI Discover Scuba Diving program should be above 10 years old with a willingness to explore the underwater world!! !